Our non-competitive, creative children’s dance classes approach modern dance and ballet technique in an imaginative context. Dance classes draw on children’s individual responses to rhythm, music, and imagery with developmentally appropriate movement. Most classes do not include a final performance, and instead we invite parents occasionally to observe classes. 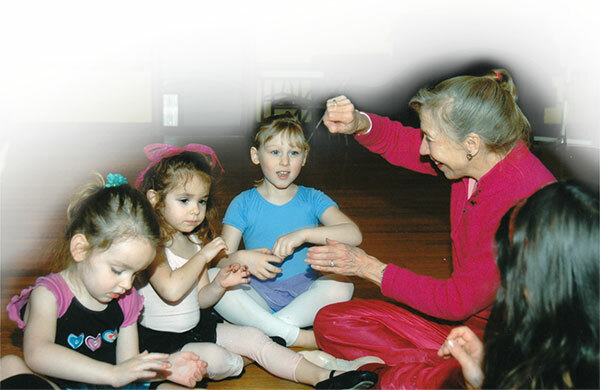 Designed for children to introduce and develop basic modern or classical dance techniques. Class work includes activities which draw on individual child's response to rhythm, music and imagery. Celebrates the natural connection with movement and the imagination and explores the most recent research in the movement science of idokinesis. Students explore imagery which promotes creativity and new neuromuscular pathways. For the emerging dancer who wishes to perform.